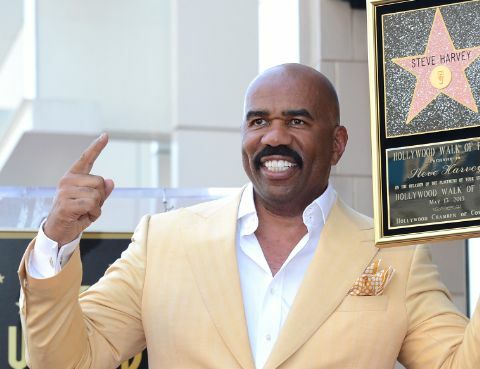 The card that prompted to Steve Harvey mistakenly naming the wrong winner in the Miss Universe pageant has been revealed. The card lists the two runners-up as well as the winner. Harvey read off the card but mistakenly named Miss Colombia Ariadna Gutierrez the winner before correcting his mistake and announcing Miss Philippines Pia Wurtzbach as the true winner. The mistake caused an uproar on social media and among the contestants, with Miss Colombia shedding tears while Miss Philippines was crowned. Harvey apologized to both Gutierrez and Wurtzbach after his mistake, as well as the viewers of the program. The Miss Universe organization says it wants Harvey to return as host next year. Some people online as well as design experts said they thought the card’s format was the issue. “I can see where Mr. Harvey would be confused,” Steven Heller, a former art director at the New York Times, told Business Insider. “The whole card should have been reversed, but all printed flush LEFT. The fact that the first two were flush left and the winner was flush right was the reason for the confusion. It was similar with the butterfly ballot of 2000; people didn’t understand the order in which they were reading things,” added Debbie Millman, head of the branding department at the School of Visual Arts. 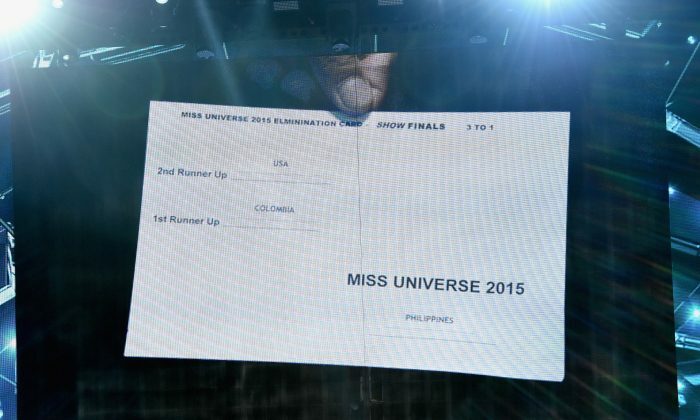 “Up first should have been MISS UNIVERSE; 1st runner up should have been next, and then 2nd runner-up. It would be clear that the order should be read from bottom to top and the winner is at the top. “Design is often under-appreciated,” digital analyst Brian Solis added on Twitter.